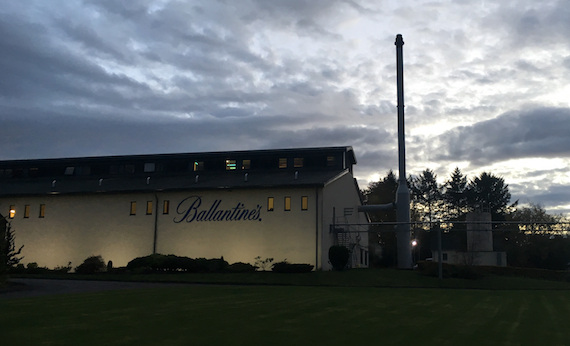 Scotch whisky brand Ballantine’s invited DI to Linn House, its home in Keith, Scotland for a tour of its malt distilleries following the launch of its new Single Malt series. The Chivas Brothers-owned brand officially launched the single malt range in Taipei, Taiwan earlier this year and the company is pushing the three expressions internationally, especially to the Scotch-thirsty Asians. “Launching this range was a very bold decision, but also appropriate,” said Ken Lindsay, Ballantine’s international brand ambassador. The three Chivas Brothers distilleries producing the single malt range; Glenburgie, Glentauchers and Miltonduff use vastly different production methods, but all three bare a 15-year-old age statement. 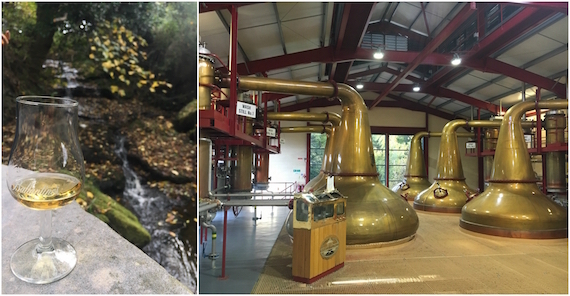 Glentauchers is the only distillery under the Chivas name which is manually run - using actual valves, buttons, taps and people. Chivas uses the Glentauchers distillery as a training spot for apprentice distillery operators because of the hands-on approach. Distillation manager Mark Cruikshank gave DI a tour around the facilities, the first group of non-Chivas employees to see inside the distillery. The plant is so rarely seen by outsiders, that during DI’s tour Ken Lindsay saw the warehouses at the facility for the first time despite working for the brand for 27 years. According to Drinks International’s The Millionaires’ Club, the volumes of Ballantine’s rose 8% in 2016 to 6.7m nine-litre cases globally. Of the three single malts on the market, Glentauchers is the rarest due to the smaller production capabilities at its manual distillery. “Our workforce is special,” said Mark Cruickshank, distillery operations manager, in charge of Glentauchers. “They have great experience and they all have their own unique way of doing things faster or better. But it’s also important for us to breed the next generation of whisky producers and distillery operators. There are five markets in Asia where all three expressions will be available and the majority of European markets will have two of the three on sale. Ballantine’s is using the popularity of its 17-year-old range in Asia as a platform for its new Single Malt series, hence its launch in Taiwan. Glenburgie is one of Ballantine’s oldest sites, but the distillery was completely rebuilt in 2003. The pot stills were the only pieces of equipment transferred to the new facility in Moray and the upgrade in technology prompted a +50% increase in production. 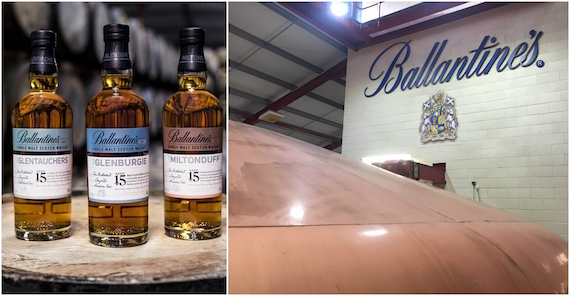 Richard Clark, who has 41 years’ experience working with Scotch whisky, said: “Before Glenburgie was rebuilt it was seen as the little brother, the Cinderella of the Ballantine’s brand to Miltonduff. But at that time it was very rare for a distillery to be built from scratch so it was a wonderful opportunity for me. Greg Dillon of GreatDrams told DI that he was impressed by the quality of the three single malts but favoured the Glenburgie range due to its “creamy and smooth finish”. Ballantine’s is one of the largest blended scotch producers to launch a single malt range and it is conclusive evidence that brands still believe in the continuation of single malt popularity, especially in Asia. The Ballantine’s Single Malt series is bottled at 40% ABV and available at RRP USD$56 per 70cl bottle.